This program has been developed for toddlers, ages 9 months to 3 years, accompanied by a parent. They begin their first visual, audial and spatial exploration while their parents are guided through the program, designed to carefully introduce coordination, music and movement in a variety of fun exercises, songs, dances. 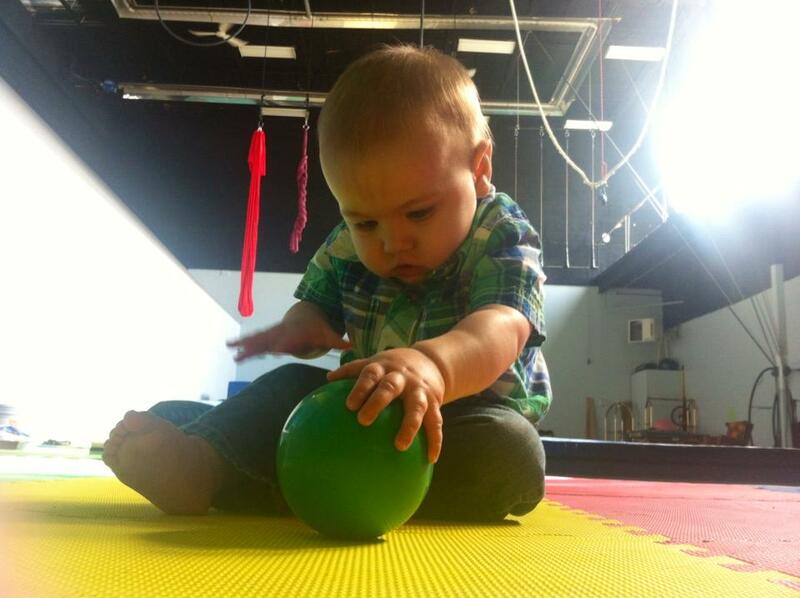 This 45mins class has been developed for toddlers 9 months and older who can walk. 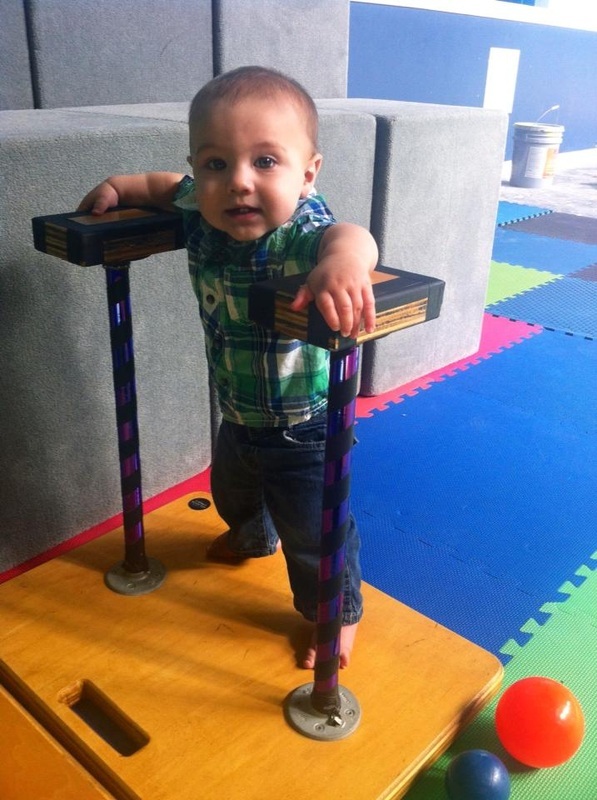 Your little Walker and you will be led by our educator through a variety of coordination movements (using balls and juggling scarves), exercises (through a tunnel, onto blocks), balancing positions (on standing pods), as well as dancing and singing. Additional activities can include the use of other circus equipment like swings and mini-trampoline. This 45mins class has been developed for toddlers 18 to 23 months old who can walk and run. Your little Runner and you will be led by our educator through a variety of coordination movements (using balls and juggling scarves), exercises (through a tunnel, onto blocks), balancing positions (on standing pods), as well as dancing and singing. Additional activities can include the use of other circus equipment like swings and mini-trampoline. This hourlong class has been developed for toddlers 24 to 35 months old who can walk, run and now jump around! Your little Jumper and you will be led by our educator through a variety of activities. 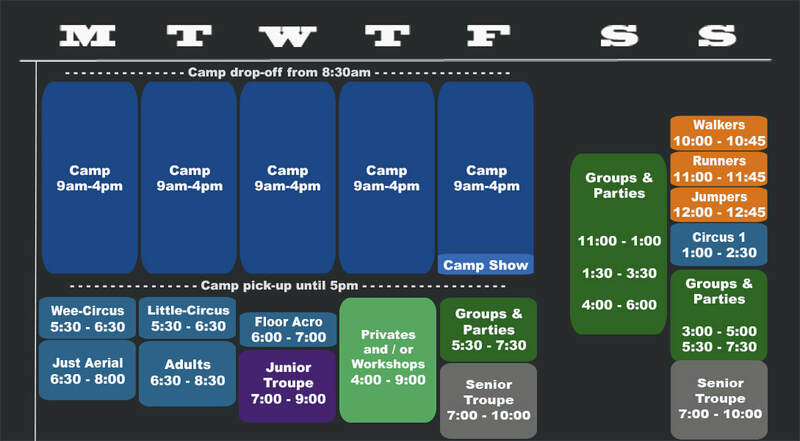 Dancing, swinging (aerial "cocoon"), play games, jump on the mini-trampoline, tumbling exercises (rolls, spins). New circuit will be setups each week to keep the little one's interest. 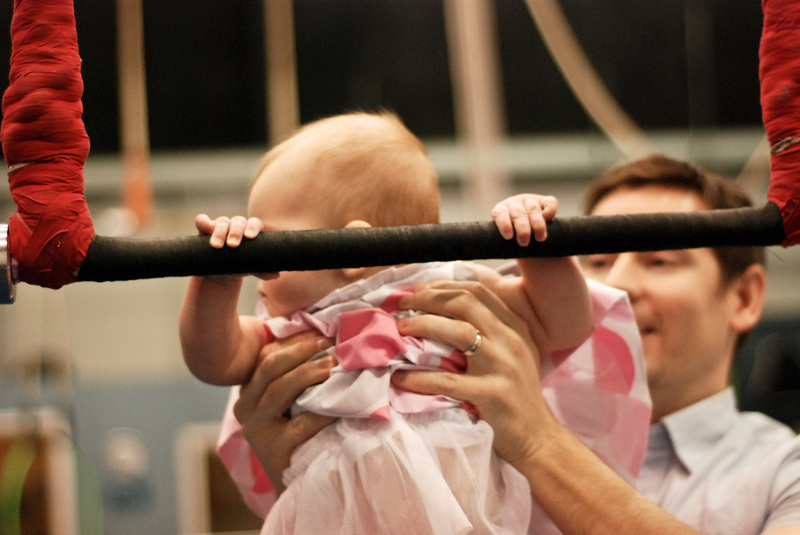 Additional activities can include the use of other circus equipment like the trapeze, slack line and balancing canes.